A couple of days ago, I found myself in need of a replacement battery for my light meter. Less than £2 online… but I needed it now! So I headed off into Wokingham town to see if I could get one. The battery is a slightly specialised one – commonly used in cameras but not universally available like an AA. As I parked the car, I noticed that Wokingham’s one and only photography shop had closed down. The next shop I tried, which sold batteries but not the one I needed, helpfully suggested that I could probably get it online. Finally, I was saved by the wonderful Wokingham Decor, a good old fashioned hardware shop with friendly, helpful and knowledgable staff. I’d give you a link to their website, but of course they don’t have one. “Have you got one of these?”, I asked. “Great, I’ll take two” (a spare is always useful and spending a whole extra £4 would be like giving a tip for good service, wouldn’t it?). Oh dear, they only had one in stock… “but we could get you another by Saturday” the shopkeeper said hopefully. “I’ll just take the one” I said, feeling guilty but knowing that I could get it much cheaper online and not wanting to trek back into town a second time. After accounting for fuel, parking and the high street price premium, my battery cost me more than twice what I could have got it for online. Not an issue for a low cost item that I needed straight away. But for higher value, bulkier items? No way. 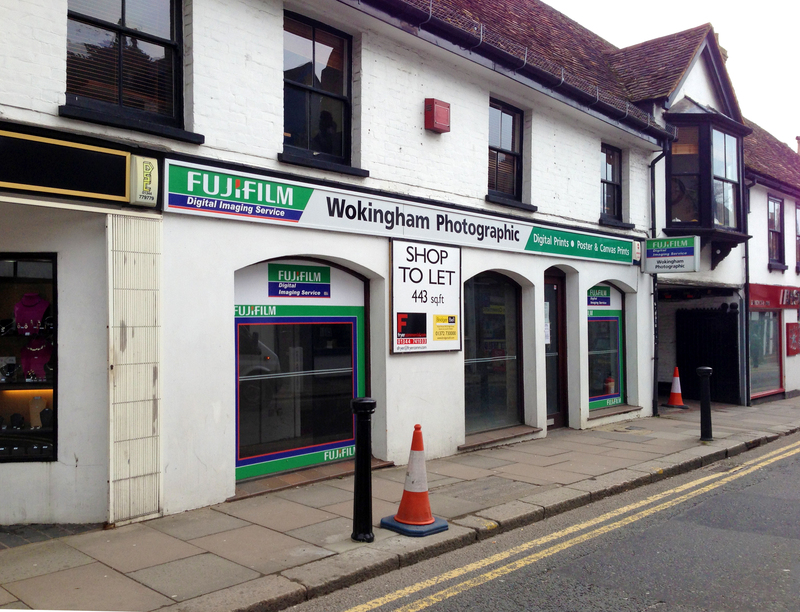 I guess it is no surprise that Wokingham no longer has a photography shop. But I really hope that shops like Wokingham Decor find a way to survive in the internet age, despite the odds. This entry was posted in Photography by Robert Boyle. Bookmark the permalink.